Pasadena pastor Ken Andrews says coming home from the Biggest Loser Ranch meant a big lifestyle change for his family, especially for his wife. "Our kitchen's different. The way we're eating is different. She's been going to spin class with me four-five times a week, and working out at the gym with us," according to Ken Andrews, The Biggest Loser: Couples contestant. When the season premiered, Andrews weighed 377 pounds, and admits those first few weeks were beyond tough. "The first two weeks I really didn't get through any workout completely. I just physically couldn't, the first one I passed out completely," according to Andrews. 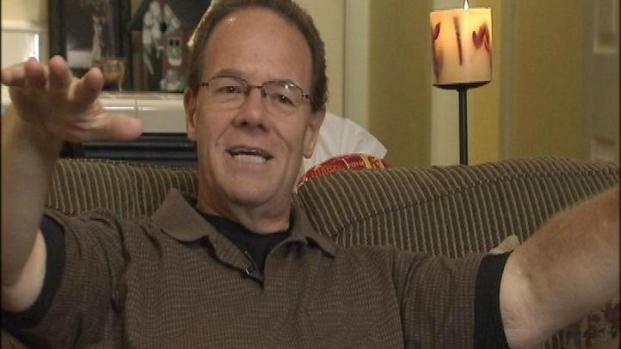 Pasadena Pastor Ken Andrews heads home. He will not be the next Biggest Loser. He says a major turning point was using the show's psychologists to uncover why he had no memories prior to the age of seven. That revelation led to why he was obese, why he used food to mask a deep, emotional problem. "When I was four, I witnessed my mother being raped, and it was a brutal attack, and then I was attacked, and then there was a threat against us, and if I said anything, and I had just blocked all of that tragedy out," Andrews said. It was a difficult emotional journey to take, but one he is grateful to have traveled. It's a lesson he anticipates using in his work as a pastor. "Approach spirituality from a wholistic point of view and talk about, not only spiritual health but physical health and emotional health," states Andrews. The show also helped him conquer one of his biggest fears, the fear of heights. "And in doing that zip-lining and facing my fears. All of a sudden, not only did I change what needed to be changed on the inside," recalls Andrews, "but then the things that I feared on the outside became manageable." As he watched tonight's episode with family and friends, he does so with gratitude. "The Two greatest things that I needed to have done in my life, were actually done on the Biggest Loser," says Andrews, "and I'm forever grateful."